Raritan lists them as compatible with the following KVM Switches: KX II, KX III, KSX II, LX. This is aNEW ,FACTORY SEALED, clean, HP USB & VGA to RJ-45 Female KVM IP Console Interface Cable. HP Option # HP Spares #. Item Specifications: Brand: Raritan Model: D2CIM-VUSB. And set the network port up as IPV4 DHCP for easy setup without a console cable. No power cable (Takes standard IEC PC cable) or RJ45 Cables included. New Bulk HP AF629A. We're headquarted in Eden Prairie, MN, a suburb of Minneapolis. Avocent DSR1021 8 port KVM over IP Switch Unlocked & TESTED. The 8-port Avocent DSR®1021 KVM switch is specifically designed for IT administrators who need to easily troubleshoot, reboot or even power cycle servers or serial devices in branch offices, avoiding the need for costly on-site service calls. 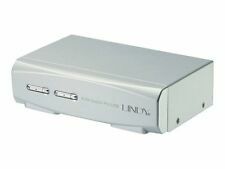 For use with Avocent AMX5130 AMX Matrix KVM switch & similar with RJ45 KVM channels, as a USB/VGA KVM module with audio. (Not compatible with the Avocent Autoview or DSR switches). The Avocent AMIQDM-USB Server Interface Module (SIM). This is NEW, Never been used module still sealed in static bag . Avocent MPUIQ-VMC MergePoint KVM Switch USB Virtual Media Module Cable, Factory sealed package. Box contains 32 of these adapters. 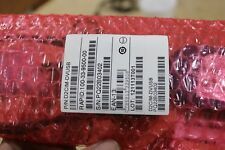 HP EO1010 3x1x16 16 port KVM over IP Switch 3D 286599-001 TESTED! We personally have attached a computer to these switches & locally tested every single KVM port for mouse, Keyboard & video connectivity & activity. Manufacturer Part Number: CBL0025. Product Type: KVM Cable. 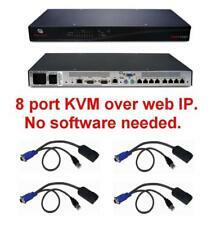 Compatibility: SwitchView SC4 KVM switch. Cable Length: 6 ft. Although quite a number of manufacturer have adopted the 100-240v (autovolt) power, still a large number of electronics devices may still be mainly 110v. 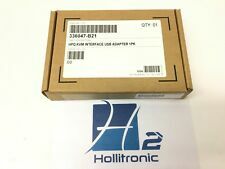 HP 396632-001 RJ45 to VGA PS/2 KVM IP Cat.5 Interface Adapter Lot of 6!! Interface Adapter Lot of 6! These interface cable adapters are used. Normal signs of previous use. Manufacturer Part Number: CBL0026. Product Type: KVM Cable. Compatibility: SwitchView SC4 UAD KVM Switch. Cable Length: 12 ft. Although quite a number of manufacturer have adopted the 100-240v (autovolt) power, still a large number of electronics devices may still be mainly 110v. Up for your consideration is a lot of five very nice Dell KVM System Interface Pod Adapter cables, part number ORF511 or UNC1-4006. MPN number is 520-289-512 or 620-154-512. I think these are new cables because they have no indication of any use - not even dust! Local pickup available at our facility in San Francisco, California. Manufacturer Part Number: G2L5203U. Manufacturer: IOGEAR, Inc. The keyboard and mouse cables are made of double-sealed 22-gauge wire and are neatly wrapped with a heavy-duty video cable for simplified connections. Puerto Rico or Virgin Islands. Condition: New! The Actual item(s) shown in the picture(s)! The order cannot be combined or modified after checkout has been completed. checkout before your order will be cancelled. We will try to accommodate your needs. Lot of 24 Dell 520-289-004 cables. These came out of a working IT environment. The modules are NEW as pictured. Condition: NEW. Other Part Number: 520-438-501. Quantity: One (1). Free local pick up available. This policy ensures that everyone receives proper recognition and makes the process easier and smoother for both parties. Check to see if this part is compatible with your system before purchasing. Connector(s) 1 x 15 pin HD D-Sub (HD-15) - Male. Module's Connectivity Connector (other Side) 1 x RJ-45 - Female. 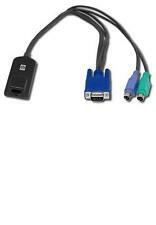 Up for sale is a new 3-In-1 KVM cable for Starview KVM switch. 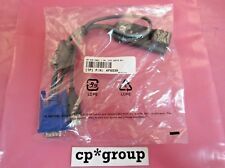 IBM 26K4177 1.5M KVM Conversion Cable 32P1654. 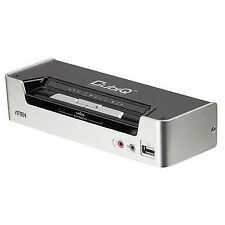 Compatible With: USB 2.0 KVM Switch. 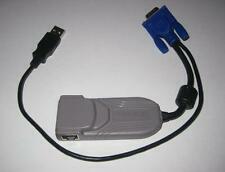 Type: 15-pin standard VGA USB A to B cables. Length: 1.5M (4.92ft). Raritan Dominion KX II CIM - Dual USB Port. Model Number: 52043. Manufacturer: C2G. Notes: GRADE B. All manufacturers' warranties are void unless otherwise stated. Testing: Fully Functional. Condition: Used. Avocent AVRIQ-USB Server Interface KVM cable Tested. Pulled from a working environment. Any questions, please feel free to get in touch. Myagen PCs has been involved in the IT industry for over 10yrs and are now branching out to online sales.our sister company has been selling on ebay since 2013 with 800 positive feedback at 100%..Buy with confidence via PayPal . Any questions or queries do not hesitate to get in touch. If Item is Listed ?. Power On ?. Or For Parts or not working ?. No software are included with any systems. For Parts /Or Not working ?. The KA7189 KVM Adapter Cable connects a KVM switch to the DisplayPort video and USB ports of a target computer. The KA7189 supports Audio De-Embedder, which extracts the audio from a DisplayPort signal. The Dominion KX II solution consists of the KVM-over-IP switch and Computer Interface Modules (CIMs). CIMs connect to the server\'s KVM ports and can be located up to 150 feet away from the switch using UTP (Cat5/5e/6) cabling. Aten Altusen KVM CPU Module Cables.